This was really dark, but with the mobile phone on the wrong settings and some help from Picknik online, the picture has come out rather well. Not so sure it shows all the detail of the freezing fog hanging over the Forth, but I like it. 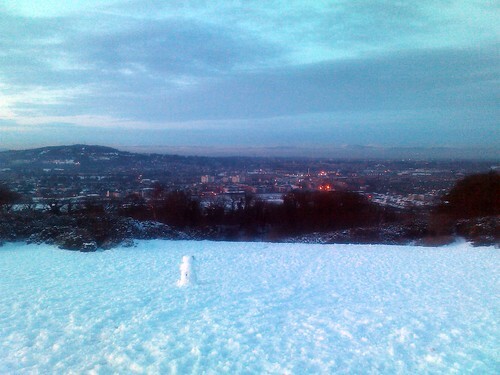 Edinburgh and the north from Craiglockhart hill, originally uploaded by Filmstalker. Wow! that’s amazing to say the least. The one thing about my current location is that we only really get basic season changes. (i.e. summer and winter) and while that sounds great on paper it can make for very boring photos.